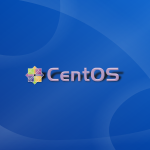 The Remi (Les RPM de Remi) repository provides the latest version of various software packages related to php and mysql for redhat based linux distros like centos, fedora and RHEL. It provides php, mysql, pecl packages, pear packages any many other open source/free php applications and libraries and many other php related packages. So its designed to assist in setting up apache+php based web servers with various kinds of open source applications. The default centos/fedora distros do no have the latest versions of these packages so repositories like Remi do the job. The repository can be easily setup on CentOS/Fedora through the installer rpm which will setup the repository configuration. Thats it. Now the remi repository should be setup on your CentOS system. On Fedora, Remi depends on the Rpmfusion repository. So first setup the rpmfusion repository. The rpm file and configuration instructions for rpmfusion can be found here. After rpmfusion is setup, move ahead to setting up Remi. Make sure to use the correct url for your Fedora version. That should finish setting up the Remi repository on Fedora. The very first section that starts with [remi] is the main repository. Change the value of enabled from 0 to 1 to enable it. Otherwise it can be enabled via yum when needed using the enablerepo option. Using the enablerepo option is sufficient when needed. As can be seen, the remi repository provides around 1320 packages. There are 2 more repos, namely remi-php55 and remi-test that provide even more packages. To list out all the packages provided by the Remi repo, use the following command.